The climactic battle begins! Wait, no... ZIM's been captured, so... THE CLIMACTIC BEING-CAPTURED BEGINS! Now a prisoner of VIROOZ, ZIM has a lot to answer for. Questions so burning, we wouldn't think of spoiling them here. 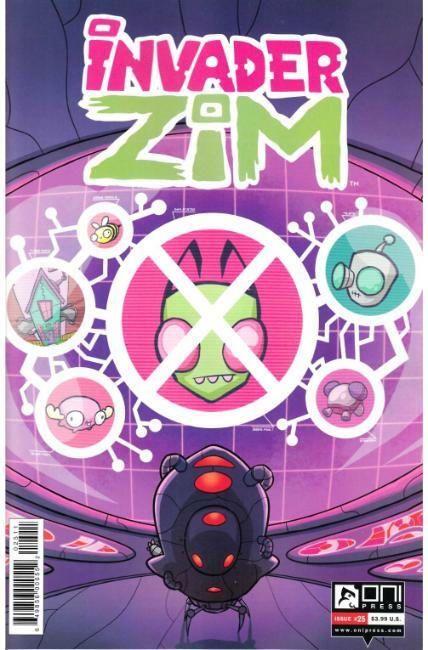 But now ZIM must fight for his life on a barren world against an enemy who's really, really disappointed in him. Part four of a four-part story!